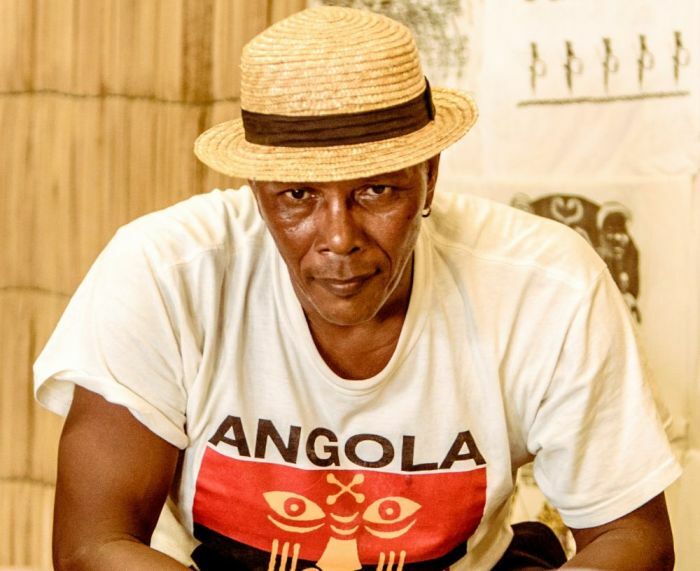 We have spoken a lot about the 3 masters of Santo Amaro: Besouro, Cobrinha Verde e Gato Preto, but there is one more who contributed loads to Salvador's capoeira, named Zeca do Uruguai. There's not a lot of information about him, but luckily he left students that left students so we can construct a small page about his legacy. We thank the Facebook user called Omilad D Angola for encouraging this study and for sharing his collection and knowledge. Also Norma Moraes Paes, the sister of Nilton and Nelson, who helped with lots of information and photos. «Zeca do Uruguai was dark, a bookie and had a big moustache». «Zeca was a short guy known for: cunningness, truthfulness, the way of handling himself». 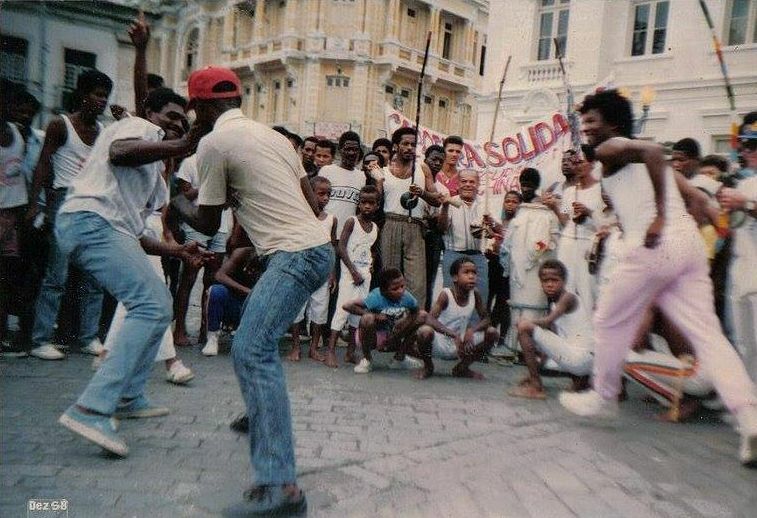 The classes were given in a place next to Mestre Zeca's house, where they trained for the street rodas. NB! 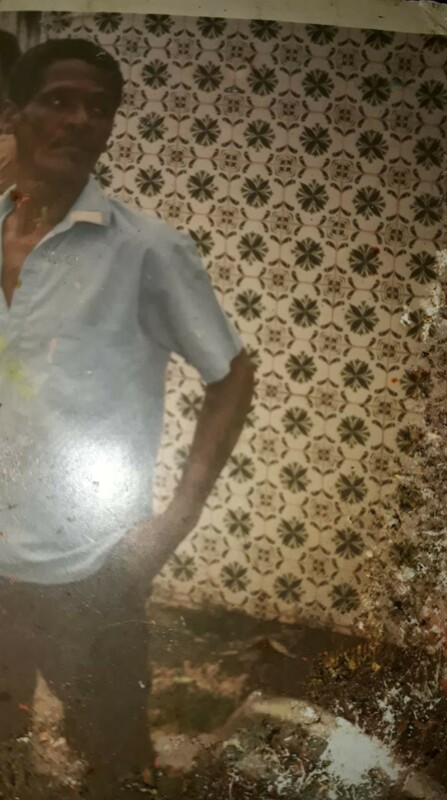 Velhosmestres.com: M Nô and Nivaldo Moraes Paes confirmed that in the photos is Zeca himself. We also tried to show the family ties between mestres Besouro, Zeca, Cobrinha Verde e Gato Preto. Nilton (Nilton Moraes Paes) was the first learn capoeira with Ninho from Ribeira and they had rodas on the Argolo Square which was situated between Massaranduba and Jardim Cruzeiro. Nilton and Cutica (or Índio, Nelson Moraes Paes) also learned with Pierrô and the three bahians learned with Zeca. The brothers lived in Massaranduba and visited Zeca and Pierrô in Uruguai (the distance of not even one kilometer). In the Moraes Paes family there were 19 children: 14 boys and 5 girls, the first being Nilton. 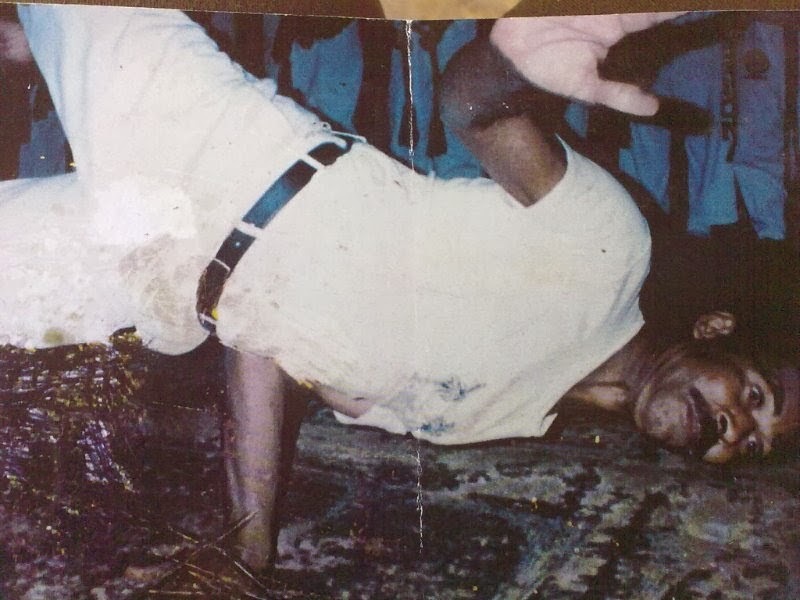 Besides him (16/Oct/1937 - before 1979) and Cutica (1941 - 26/Dec/1970) who also practiced capoeira was Fernando Olímpio Paes Filho, known as Fernandinho or Mano (26/Mar/1948 - 5/May/2001), who became famous in Rio. He learned with his borther Nilton and later became Caiçara's contra-mestre. Silvestre, also Caiçara's contra-mestre, signed his diploma. 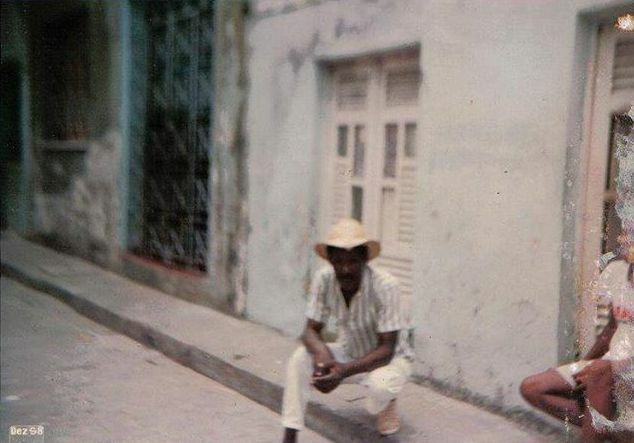 Everaldo Arcanjo de Assis, known as Gaguinho Preto (12/Jun/1934 - 29/Apr/2002) was born in the Curva Grande neighborhood and learned with Menino Gordo da Curva Grande, with Roque and Victor H.U., passing by Pastinha's CECA and Zeca do Uruguai. 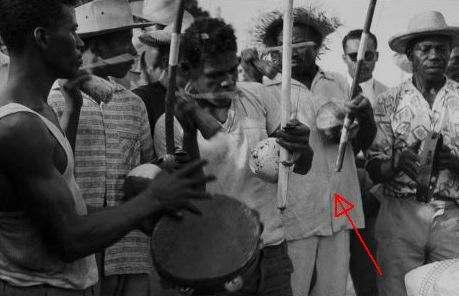 He was part of the group of Pirrô, Cobrinha do Morro (Pedro Caipora - one of the most dangerous), Risadinha da Rua Chile, Edinho do Uruguai, Ninho, Cacua, Cutica, João Caveirinha - berimbau player, Nilton, Edinho Bufo-Bufo and Mestre Zeca do Uruguai in the Lower City of Salvador, Bahia. M Gaguinho Preto and ? 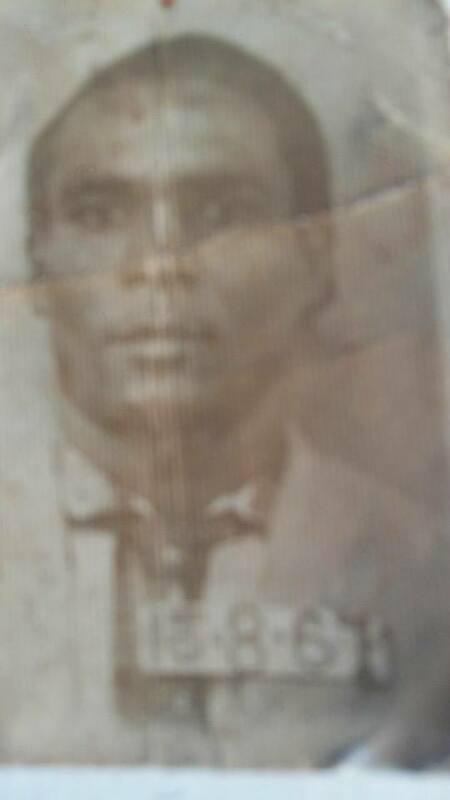 Omilad D Angola: «Mestre Caiçara sold fish on the small market of Jardim Cruzerio, in the lower city neighborhood. Here he got many to become his contramestres. Such as Mestre Zé, Fernandinho, Paulo Santo Amaro, Ferreirinha (Silvestre) and others. So the guys who had taught them stayed anonymous. Now we arrive to today's masters. [Coming to Salvador] he met Mestre Nilton (Pierrô's student) and Pierrô (Mestre Zeca's student, in the Uruguai neighborhood in Salvador). 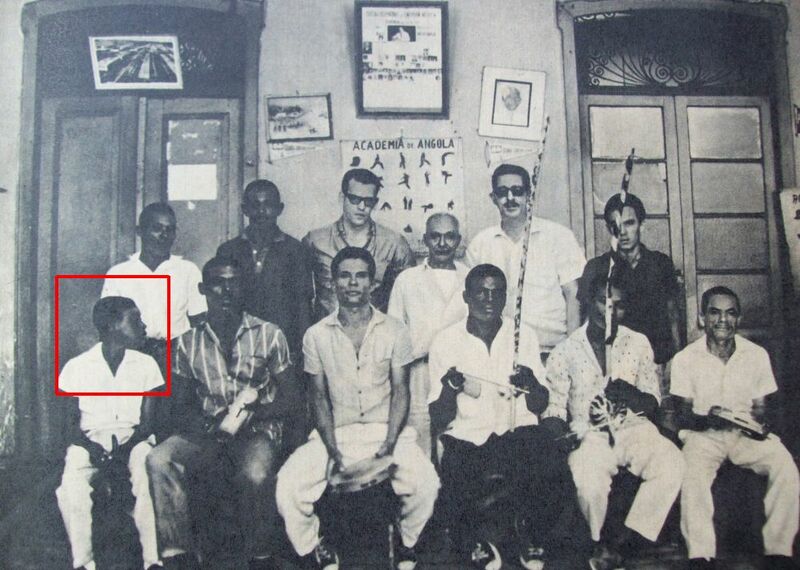 His first lessons were with Mestre Nilton, in a place in Canto do Rio in Massaranduba. Later he was presented to Pierrô e Zeca, in the Uruguai neighborhood. 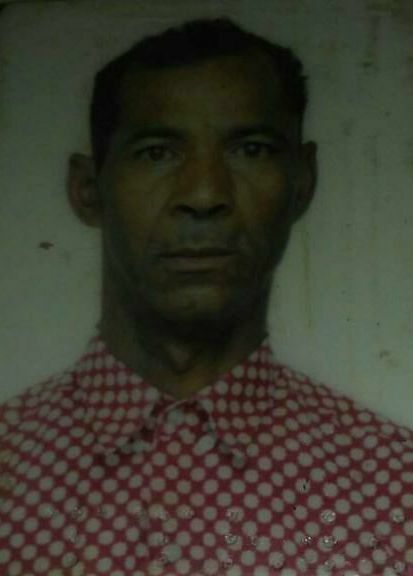 1945 - Norival Moreira de Oliveira was born on the 22nd June in Coroa village on the island of Itaparica. 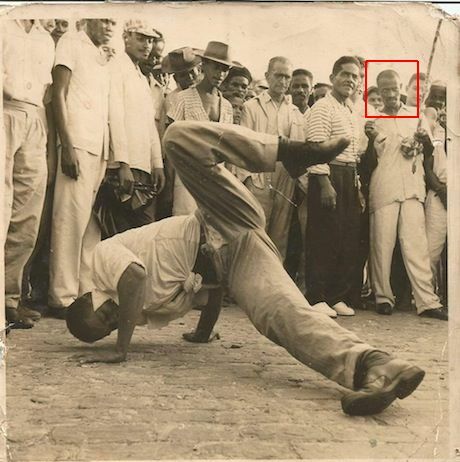 1949 - Started to learn capoeira with his grandfather Olegário. 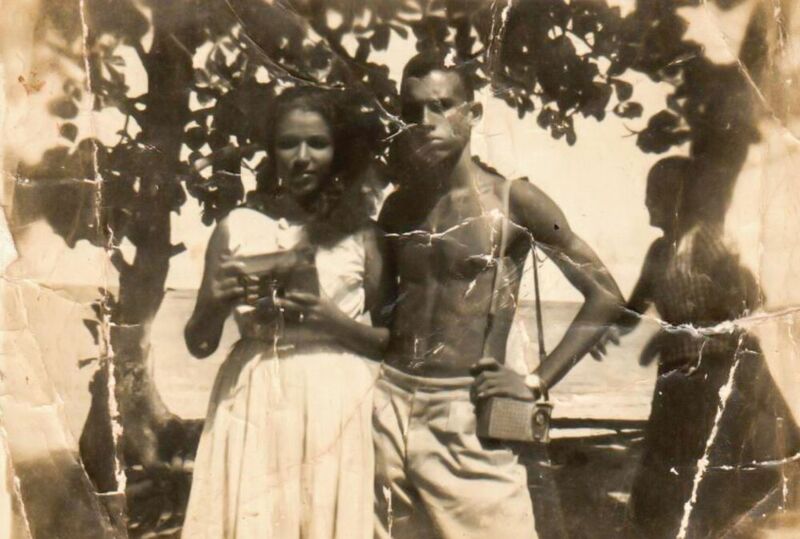 1952 - His family moved to Massaranduba in Salvador where Nô started to learn with Nilton, Cutica, Pierrô and Zeca do Uruguai. Their rodas were visited by Waldemar and Traíra. 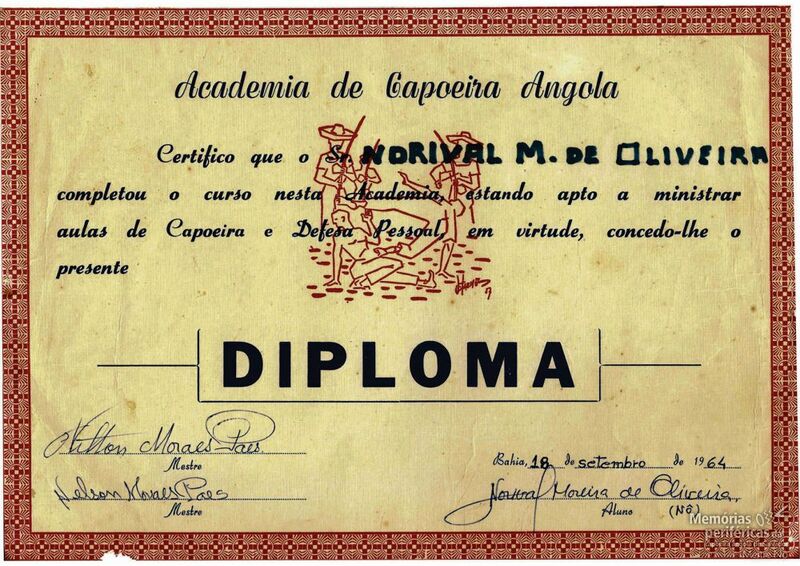 1964 - On the 18th September Nô received the diploma from Nilton and Cutica (see the image below) and started to teach. In November founded the Academia de Capoeira Angola Retintos. See the place on the map above. His second academy was on the Santa Clara street in the old Terreiro de Pai Dudu. 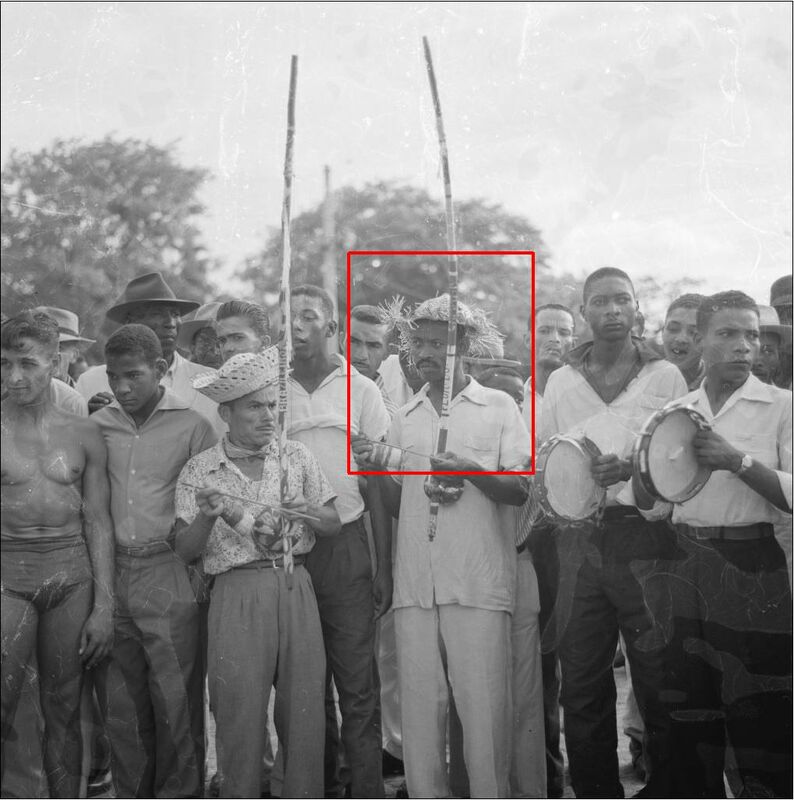 1969 - Founded the Academia de Capoeira Angola Orixas da Bahia. 1971 - Married Sônia Maria Borges de Oliveira to have four children with her. 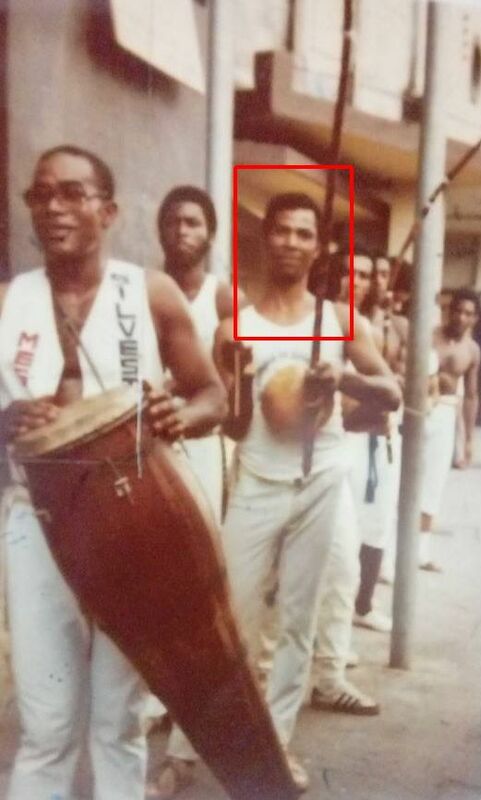 1979 - During the party of the Academia de Capoeira Angola Orixas da Bahia paid tribute to the late Nilton and Cutica. The same year he founded the Grupo de Capoeira Angola Palmares da Bahia. 1985 - Organized the I Grupo de Capoeira Palmares Encounter. 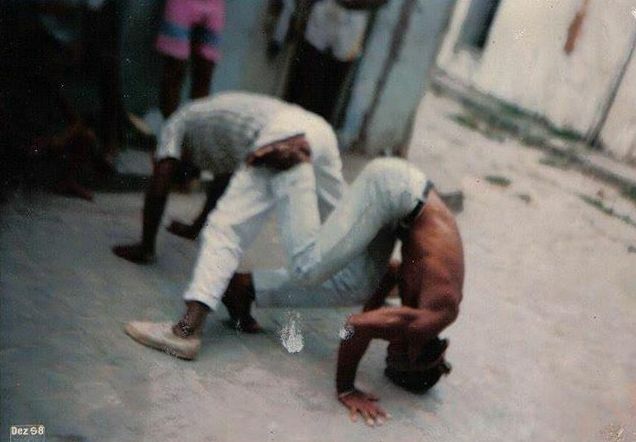 1987 - I Batismo de Capoeira Ajagunã de Palmares on the Island of Santa Catarina. 1990 - Visited Atlanta in the Stated for the first time. 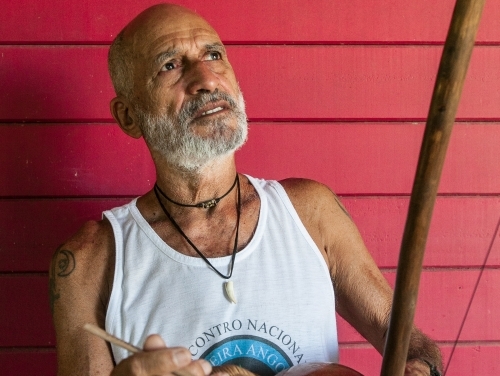 M Nô continues to teach in his place in Bahia and in many places over the world. 1950 - Pedro Moraes Trindade was born on the 9th February on the island of Maré. 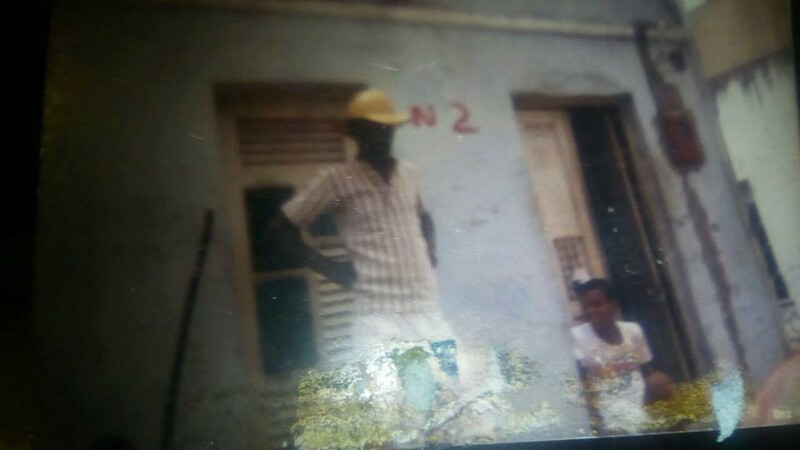 1957 - Already living in Baixa do Petróleo in Salvador he entered M Pastinha's school on the 1st April starting to learn with mestres João Grande and João Pequeno. 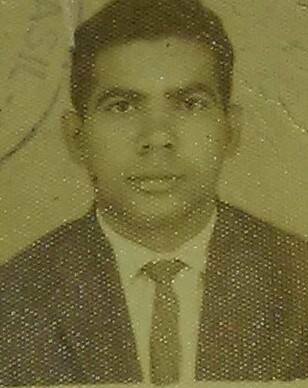 1970 - Being in the marines he was sent to Rio de Janeiro. 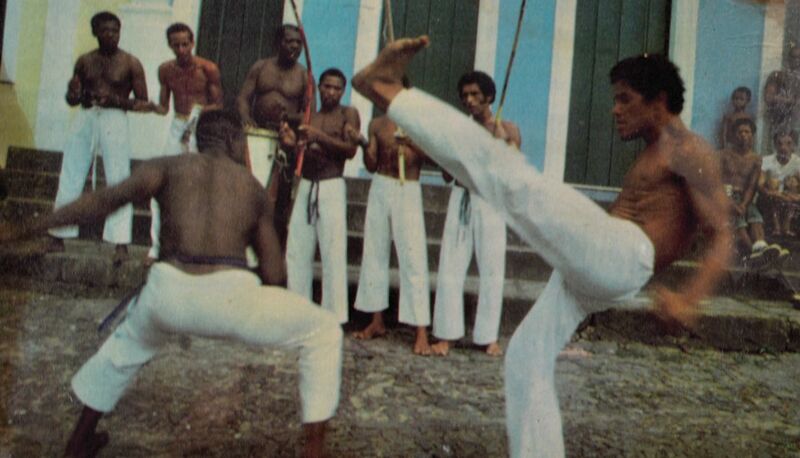 1974 - Taught capoeira Angola in Belford Roxo in Rio. 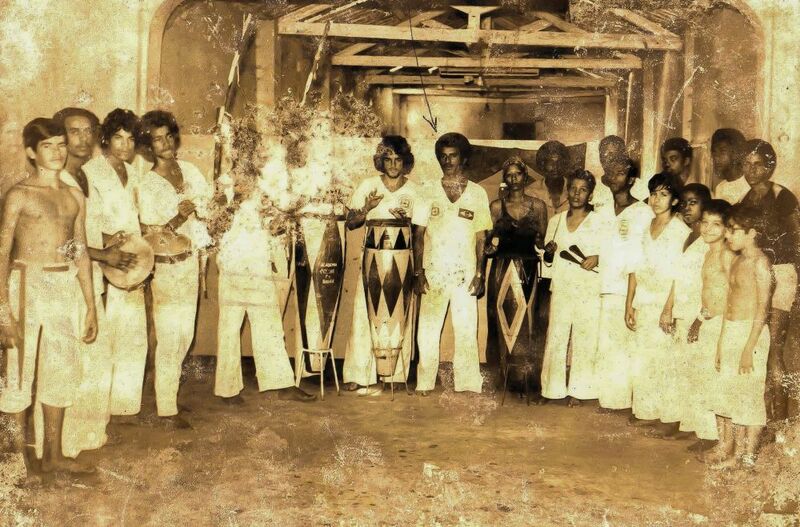 1980 - On 5th October founded the Grupo de Capoeira Angola Pelourinho in the handycraft market of Cosme Velho in Rio. 1982 - Returned to Salvador to teach in M João Pequeno's academy in the Santo Antônio fort. 1983 - Moved to the current space in the Santo Antônio fort. 1985 - I Workshop and Show of Capoeira Angola. 1987 - Participation in the film called O Pagador de Promessas. 1997 - Launched the I CD of the GCAP: Capoeira Angola from Salvador.